Every year we ask the children about their on-line experiences and share the results with parents so they can see how safe their children are. We have an E Safety trained PCSO who is available to speak to parents and offers advice and support. 50% of our children use their tablets/lap tops/computers in their bedrooms - they are unsupervised and at risk. Only 36% of our children ask permission to go online – 64% do not. PLEASE COME ALONG TO FIND OUT MORE FROM OUR e-SAFETY CONSULTANT! Friday 15th February we will be running an e-safety session for parents at 09:00 am. The session will last for approximately an hour and has been arranged to help fit in with ‘drop off’ at school. This will be an informative and useful session … find out more about how to keep your child safe on-line! At St Matthew’s we are committed to keeping your children safe and that includes being safe when using a computer. Internet Safety Rules are on display for the children in every classroom. Follow the 10 rules and stay safe online. 4. Never send your picture. 5. If someone says something mean online, tell a grown-up. 6. Don’t do things online that you know are wrong. 7. Check before you download anything. 8. Don’t give out your password. 9. Set up rules for going online. 10. Show your parents and carers how you use the internet. Share! For parents: The Internet opens up the world to children and young people. It allows for many wonderful educational and learning opportunities. In addition to useful education tools on the Internet, a great deal of content also exists that is not appropriate for children. We hope that the information in our E-Safety Policy will support you in keeping your children safe in this digital world. 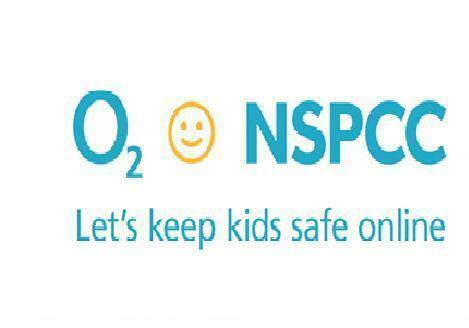 It’s our goal, O2 and NSPCC, to get every family in the UK to chat about and understand their kids online world as they would their day at school. Help and support can be found online – find ideas how to start conversations with your child. •Technical support from O2 gurus is available in stores (it is free, you don’t have to be an O2 customer and there is no sales pitch) also try the helpline 0808 800 5002. •Technical how to guides are available online. •Parent sessions will be run in schools by NSPCC. FOLLOW THIS LINK TO LISTEN TO OUR ADVERT & VOTE! Our Y6 E-Safety team are semi-finalists in Cheshire Police's E-Safety U Create Challenge. The team went on Tuesday 29th November to Cheshire Police HQ to take part in a workshop with industry standard radio professionals who helped them polish their adverts and the team gave a presentation to the judges. Well done team! We look forward to hearing your advert soon. Our school’s commercial has been shortlisted as a finalist in the Cheshire Police and Safer Schools Partnership Safeguarding Radio Competition and has now be entered into a social media challenge (SMC). The SMC is a public vote, our commerical will be placed onto the ucreate website where family and friends have an opportunity to share, celebrate our work and vote for their favourite via a poll system. The advert with the most amount of votes at the end of the voting period combined with the judges choice will be the overall winner. The top advert with most amount of votes combined with the judges choice will be the overall winner. It’s all still to play for the winning group will have their advert professionally produced and broadcast on local radio and be presented by a gold disc award to celebrate their achievement. We hope you will be able to listen to our advert and vote! Here is the link to the Social Media Challenge poll page, PLEASE share this link with family and friends and on social media - anywhere you can think of to get the most amount votes and of course to raise awareness of preventative safeguarding issues for young people to consider. The link is available until 9am Wednesday 14th December … PLEASE CLICK ON THE LINK AND LISTEN TO OUR JINGLE! Our Year 6 E Safety Team give their presentations at the Cheshire Police HQ. We are very proud of them! Please come along to find out more about our E Safety sessions delivered by PC 4356 Kelly Meredith, who is the Youth Engagement Officer for Warrington. On Wednesday 30th November, 2016 we will be running e-safety sessions for parents at 09:00 am, 2:00pm and 6pm. The sessions each last for approximately an hour and have been arranged to help fit in with ‘drop off’ and ‘collection’ of children from school. These will be informative and useful sessions … find out more about how to keep your child safe on-line! E-safety - Is your child safe on-line? We have conducted our own survey of our children and it's here for you to download. We do hope to see you at one of our sessions and hope you will support this inititive. The meetings provide great opportunities to ask questions about how to keep your child safe online with answers from the experts! Department For Education Articles and advice for parents, carers and young people. 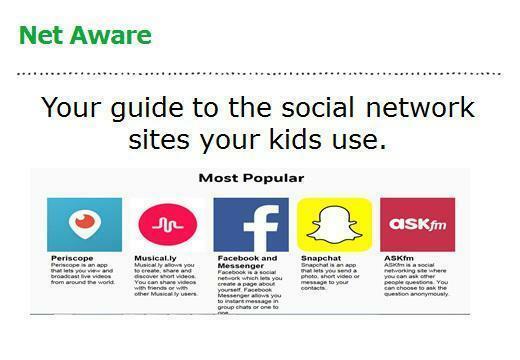 Think You Know Great advice to keep chidlren safe whilst using the internet. CEOP News and articles about internet safety. A website where you can make a report if you are concerned about internet safety.